This newly refurbished building offers a variety of different workspaces across five floors. The space will include private offices and a professional Club space containing informal meeting rooms, communal areas and a coffee bar, all you need to work effectively. We even have two roof terraces for when you want to step away from the desk and enjoy some fresh air. 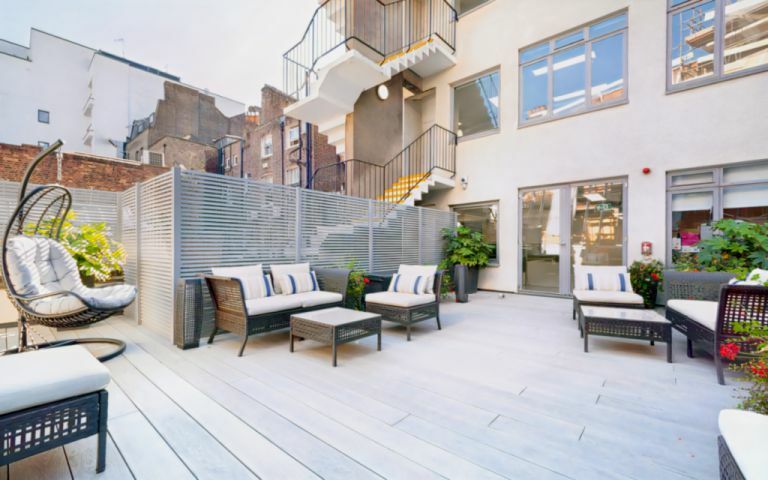 This business centre is situated within the Fitzrovia district of Londonï¿½s West End. A popular business destination, the centre is within easy walking distance from Tottenham Court Road and Oxford Circus Stations and surrounded by shops, bars and restaurants on Oxford Street. These offices in Newman Street offer a range of prices depending upon your exact requirements. Contact us now and we will help find the best price for you, based on your individual needs.